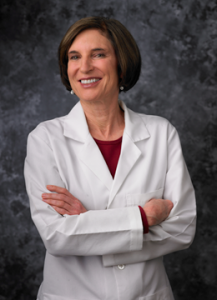 Jean Gordon M.D., Ph.D. was trained at the Stanford University Medical Center. Originally from the east coast, Dr. Gordon received her B.A. from Princeton University and then went on to earn a Ph.D. in mathematics from Dartmouth College. After four years as a college professor of mathematics at Williams College, she moved to California to merge her mathematical expertise with the field of medicine. While a medical student at Stanford Medical School, she did research in medical computer diagnosis. She then decided to apply her medical diagnostic skills to dermatology and completed a residency in dermatology at Stanford University Medical Center. Dr. Gordon received her board certification from the American Board of Dermatology in 1996 and was recertified in 2006. She is a member of the American Academy of Dermatology, the American Society of Dermatologic Surgeons, the California Medical Association and the Santa Clara County Medical Association. She frequently attends post-graduate courses and seminars to obtain the latest updates on new cosmetic treatments and procedures for skin rejuvenation. Dr. Gordon is dedicated to providing the best possible care for her patients before, during and after all procedures she or her staff perform.